Once again, we come together with great joy to support our Fountain of Love and Life Annual Gala. We look forward to this Gala every year because the experience of this Gala makes us happy and proud to be Chinese Catholics who are firmly supporting the wonderful achievements of this great Chinese Catholic Evangelization Media Ministry. Congratulations to Fountain of Love and Life (FLL) on its 12th Anniversary of Evangelization and devoted service to the Chinese Catholic Community. In its twelve years of growth, we have benefited from the many spiritual programs on television, radio and the internet, as well as the DvDs, CDs and religious books and articles that FLL has brought to us. 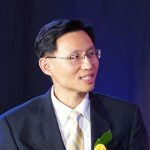 It is common knowledge that FLL had contributed greatly to the work of evangelization among the Chinese-speaking population of Toronto and Canada. A big thank you to these dedicated young Catholics who volunteered their talents, skills, energy and time in this Media and Communication Ministry. They are the builders of God’s Kingdom of Love, Justice, Peace and Joy here on earth. 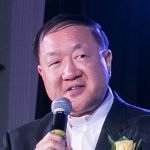 FLL, through its spiritual programs, has reached out and touched many Chinese Catholic Communities in Asia where Catholics are a minority and Catholic spiritual programs are prohibited in their mainstream media. Thanks to FLL, these communities now have access to Chinese Catholic spiritual programs and Catholic catechism through YouTube, Facebook and Twitter. Our Chinese Catholics should be ever thankful to God for bringing forth these dedicated and responsible young Catholics for promoting spiritual wellness and maturity. God is bringing them forward as shining examples of love and life. God is telling us that we, too, could be like them by contributing our talents, skills, energy and time in this media evangelization ministry, and so help to communicate and build God’s Kingdom of Love, Justice, Peace and Joy here on earth. May God always continue to bless Fountain of Love and Life. 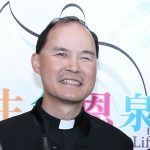 May your prayers, financial and physical support continue to strengthen and empower this Ministry for the greater spiritual growth of the Chinese-speaking Catholic population of Toronto and Canada. Thank you for supporting FLL by your participation at the annual Gala Dinner. The theme of this year is “The Symphony of God’s Love”. This year is also the 100th anniversary of the apparitions of Our Lady of Fatima. The message of Our Lady is “Light for a Dark World”. The message of Our Lady challenges us to be light in the world through prayer and sacrifice. Let us remember that we can support the work of evangelization daily with our prayer and sacrifice. By the grace of God, all of us can be part of the beautiful symphony of the love of God. FLL ministry helps bringing Chinese Catholics together for the work of evangelization. The canonization of the two little children of Fatima this year is a powerful reminder of the universal call to holiness and the universal call to mission for all the baptized. Through the intercession and protection of Our Lady of Fatima, may the works of FLL flourish, and the symphony of the love of God resounded throughout the world. Twelve years ago, when the Lord called this group of young people to evangelize through the media, they did not know where it was leading. They only knew it was necessary, and they got nothing to lose. Soon after, they found themselves woefully inadequate with skill, resources, and manpower. So God provided them with supporters and enthusiasts, and it dawned on them that FLL is to be volunteer-based, that we were to learn to evangelize together. And the opportunity came when we were given air time on the mainstream Chinese TV and radio stations. All of a sudden, the harvest seemed plentiful, the opportunity seemed ripe. Let us gather more labourers. We found ourselves expanding, stretching, hiring, outreaching, and experimenting with many new avenues of spreading the Word of God. We started our bookstore, we hosted musical shows, conferences, workshops. We not only wanted to evangelize, we wanted to train evangelizers; we wanted more people to get more skillful in passing on the Good News! And then we got our own charter, an independent lay charitable organization for Chinese Catholics. Today, we are not only viewed by Chinese all over North America, but also in Hong Kong, Taiwan, New Zealand, Australia, Malaysia, Singapore, Japan, and increasingly mainland China. And more and more of them are coming back for more: for they have tasted the Truth and have encountered the Lord, and they now hunger for more. Yet today, we often wonder, how are all these possible? We are still short of money, short of manpower, inadequate in management, and the needs are ever expanding. In many ways, we are just as unclear about the path ahead as we first started 12 years ago. But one thing is certain: our trust in God in this enterprise has grown stronger, for we have seen miracles. We know FLL is in God’s hands. Thank you God for the miracle of FLL. Thank you for you the supporters and benefactors. May God richly bless FLL with the resources and personnel it needs to carry on His work! With immense joy and gratitude, I welcome all of you to join this FLL Annual Gala to celebrate the enormous blessings God has bestowed on the Chinese Catholic community, and in particular, His created vehicle of evangelization, Fountain of Love and Life, of which all of you are a part. 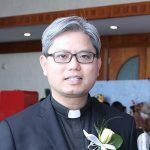 Indeed, YOU are what characterized this unique lay apostolate started 12 years ago. The fruits of FLL are always the result of a passionate group of brothers and sisters, who are eager to extend the gift of Christ to others. It is the active participation of people from different parishes, background and walks of life, and with a variety of charisms and experiences that mold this community and volunteer-based apostolate. While the calling to evangelize is constant, the means to do so effectively is ever changing. Through this, God has trained us to be discerning in nature to respond to the changing needs. That is the reason why our work and our model have been evolving through the years – partly because we need to adapt, and partly because of our learning and growth through trials and errors. All these demands have put enormous pressure on staff and volunteers, stretching thin our already limited resources. At the same time, the responses to our global outreach have shown us there is much need in the global Chinese community and have further widened our vision. We feel we are invited to venture again into another uncharted territory, yet at the same time, are humbled by our own limitations. With the guidance of the Holy Spirit, we have envisioned a new model, which gave rise to the theme of this gala — the Symphony of God’s love. The success of this new model counts on your active participation. We are extending invitations to everyone of you to join this “orchestra”. Every person has been graced by God with various gifts (talents, time, and treasures) and can meaningfully contribute to His symphony. We can spread God’s love in unison through a harmonious blending of various gifts. The key to success hinges on one major factor — UNITY. If we are UNITED and we WORK TOGETHER with a SHARED VISION, we Chinese Catholics can MAKE A DIFFERENCE in this world. Let us think out of the box and be open to any invitation by and submit humbly to the guidance of the Holy Spirit, who is the conductor of this orchestra of God’s love for the world. Our God-given roles as a good STEWARD and an active EVANGELIST should never be taken lightly. We are stewards, not owners, of the gifts entrusted to us to manage on earth. Let’s use the gifts not according to our own benefits, but according to His will, to make disciples of all nations (Matt. 28:19).